At first glance, you would think by the descriptions that cram and lembas are similar. Too similar to try making both. 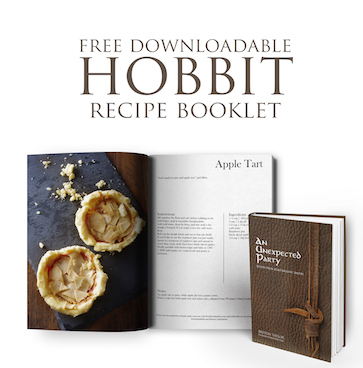 But once you start looking closer, you realise that these sustenance biscuits from men and elves are very different. 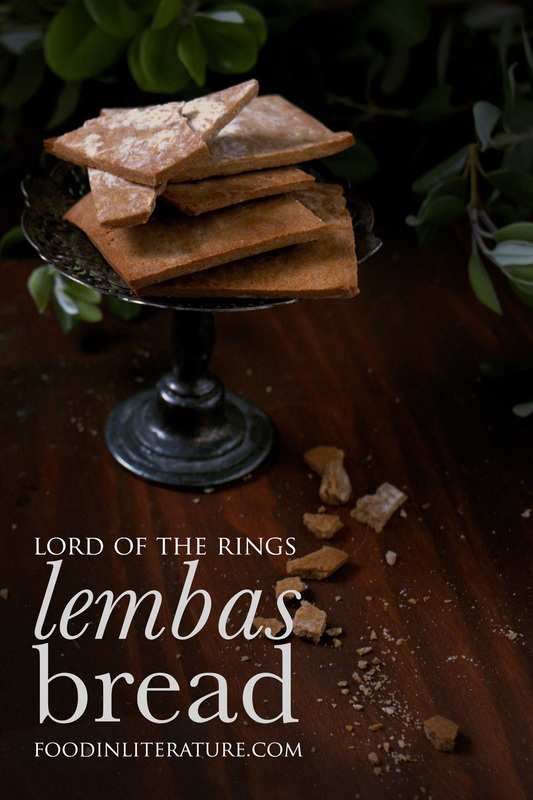 In fact, lembas bread is described later in The Fellowship of the Ring, as being a wafer, which made me realise after I made this, that I’ll probably be heading back to the kitchen to attempt this once again. In the mean time, this is one interpretation of lembas bread. It is described as being sweet, which made me think of a shortbread cookie (which was used as the food prop in the movie). But while shortbread will last longer than a normal soft cookie, lembas bread is described as being thin and able to stay fresh for months. So I wanted to make something more hardy. Knowing how butter softens at room temperature, I wanted to use something that would stand up better. Shortening here in Australia (called Copha), is a rock-hard white vegetable-based product that melts to clear liquid. And while white sugar is good in baking, golden syrup will bake ‘harder’ (think those tough gingernut cookies). The end result is a sweet biscuit that rolls out thin and is tough enough to withstand a long journey (several weeks, anyway). In a saucepan, melt the shortening and scoop in the golden syrup. Bring to a boil and let cook for a few minutes. In a bowl, add in the flour, then pour in the sugar mixture. Add more flour if required, but stir until combined. Roll out very thin and slice into squares. Place on a baking tray and bake for 20-30 minutes until the colour starts to darken. Let cool completely (it will be soft when it's out of the oven) before storing in an airtight container.